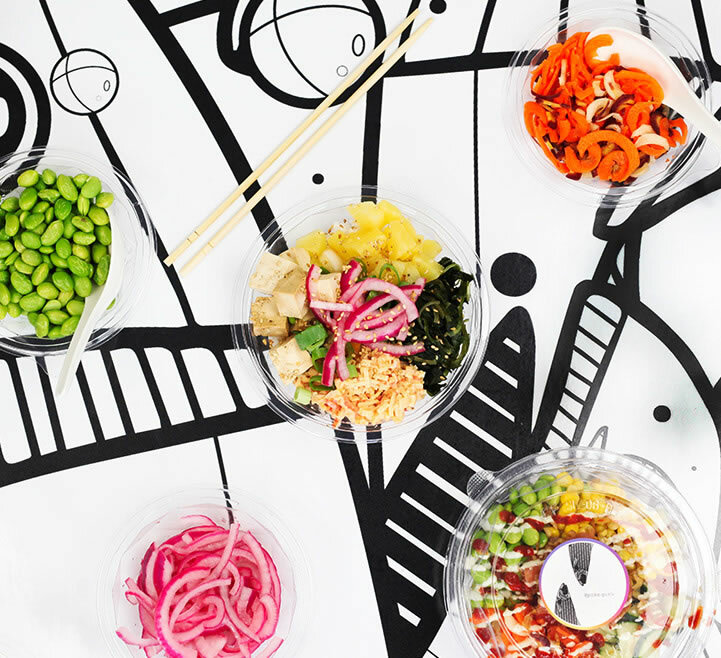 Poke Guru is a fast-healthy concept with the sole mission to provide our guests with healthy,nutrient dense food as convenient as possible. 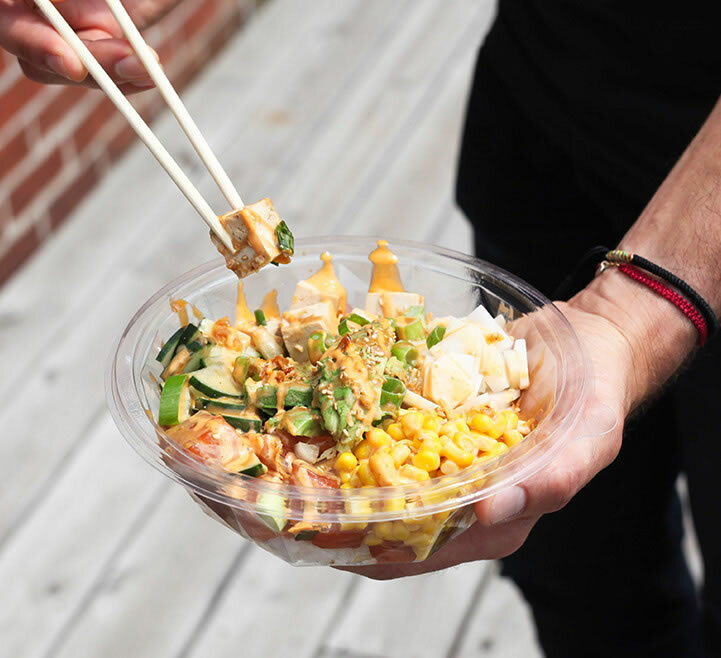 With practically endless combinations of carbs,vegetables, proteins and sauces, we feel confident we can build you the poke bowl that makes your taste buds sing. We always strive to make sure each bowl made by us is . . .
ingredients that are diced and chopped every morning for bold taste and textures. creations that can be enjoyed immediately or transported easily to your next appointment. 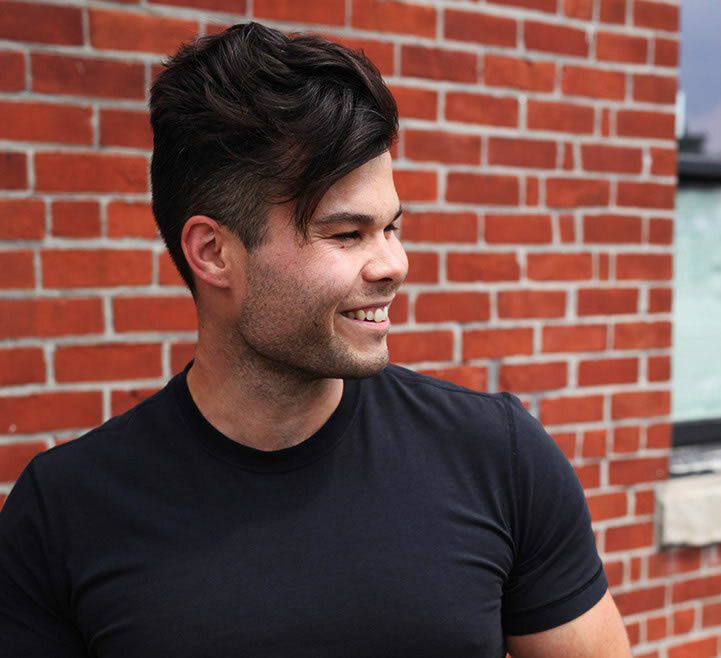 by a Team that is valued and encouraged to be their best selves; without them Poke Guru wouldn’t exist. 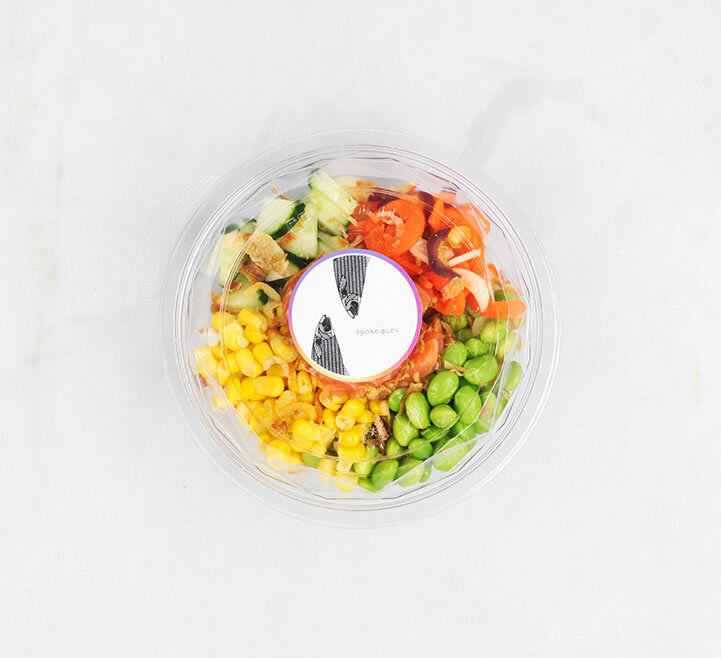 bowls crammed with lean protein and fresh vegetables so you can power through your day. 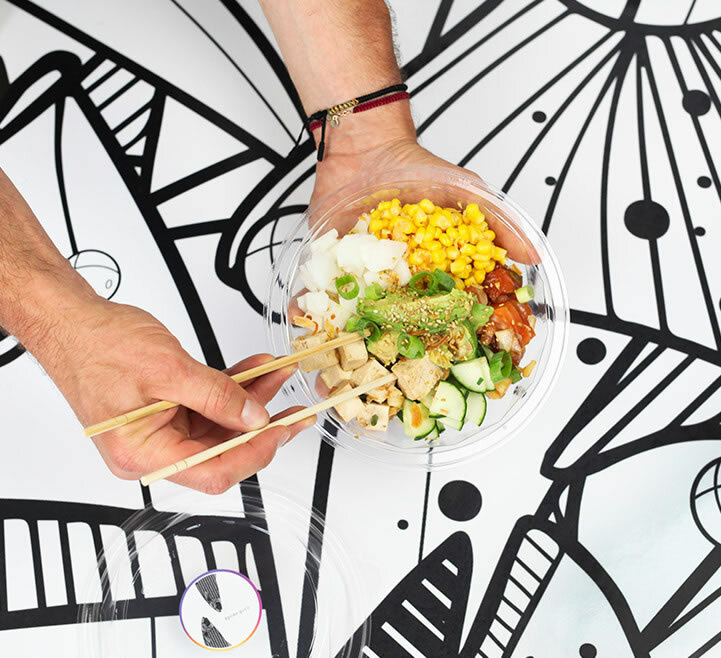 food doesn’t have to be deep fried, our bowls will prove that. a quick and convenient option for you to savor good health.